Here on Lake Superior's North Shore, we are blessed to have literally hundreds of square miles of forestland close by. While the area is famous for the Boundary Waters Canoe Area Wilderness and a wealth of water-related activities, we also have a lot of opportunities to have fun with motorized sports! 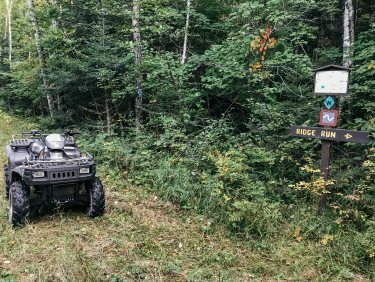 State and national forest roads crisscross the back country, and most county roads are unpaved and open to ATV use.